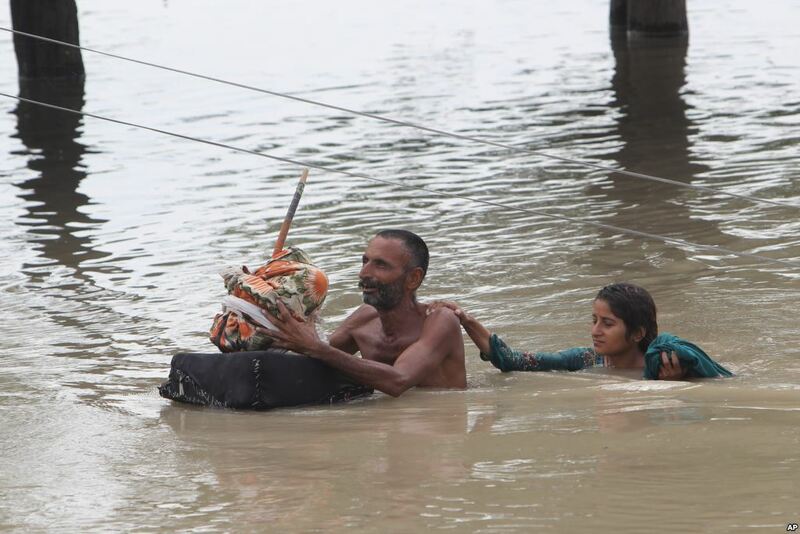 Pakistan villagers wade through floodwaters in Rajanpur, Pakistan, Thursday, July 23, 2015. 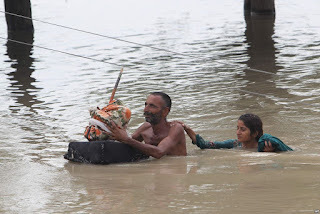 Pakistani authorities say flash floods, triggered by monsoon rains, have killed 12 more people across the country, bringing the overall death toll since early last week to 15, as rescuers struggle to move those stranded to safer places. Friday's statement by the National Disaster Management Authority says seven of the deaths were reported in flood-hit areas in the southwestern Baluchistan province while three people died in the eastern Punjab province. Floodwaters also killed two people in the northern Gilgit Baltistan region. It says 194,137 people in the district of Layyah and other regions in the eastern Punjab province have been affected. Meanwhile, the situation was returning to normalcy in the northern city of Chitral, where floods earlier this week killed three people and destroyed roads and bridges.